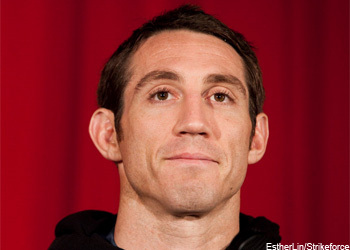 If any fighter was under the pressure cooker Wednesday, it was middleweight Tim Kennedy (pictured). Not only was he a heavy odds-on favorite to beat Rafael Natal, but the former Green Beret had to do it in front of his military family. The official stoppage came at 4:40 in the opening round. Oddly, Kennedy’s victory was technically ruled a TKO and not a KO. Perhaps it was because he had to unload a couple of punches on the ground to seal the deal. UFC Fight for the Troops 3 took place in Fort Campbell, Kentucky.